Well, I did it again. I'm looking for the source of this pattern. 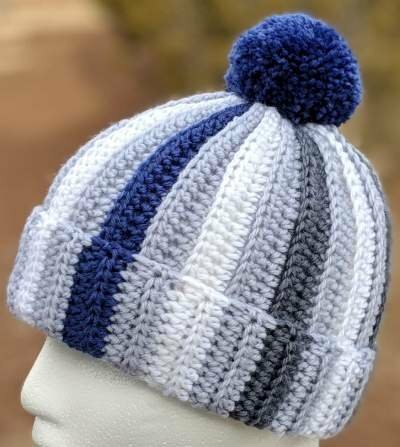 I copied the photo and being in a rush, forgot to add the source address so I can buy/use the pattern. I thought it was on Pinterest, but, no luck finding it. Any clue? I can see why you like that one, most sideways hats have an obvious transition for the top, or a gather, and this one is subtle. Couldn't find it on google image search, no look on Ravelry either. I have been thinking about trying this one. Thank you Granny Square. Funny, I made that hat minus the button for a grt-grand for Christmas. She loves it. Thank you Brenda. I have this pattern saved for "just in case".